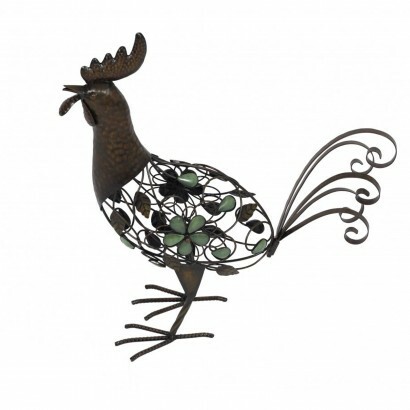 Standing tall, proud and strutting his stuff, the glow garden cockerel has a decorative wire body that throws detailed shadows onto the ground adding character to your garden. The decorative wire is detailed with green beads that glow in the dark adding extra magic to your garden night after night. 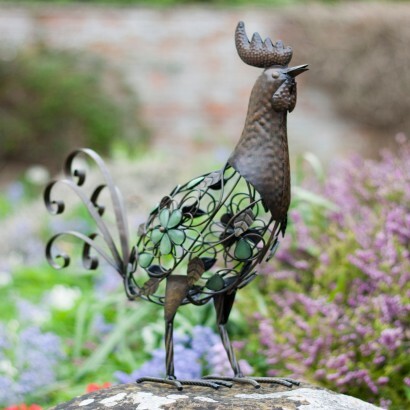 Simply place this proud cockerel where the stones will be exposed to light and they will charge throughout the day and give off a gentle, atmospheric glow when it gets dark. 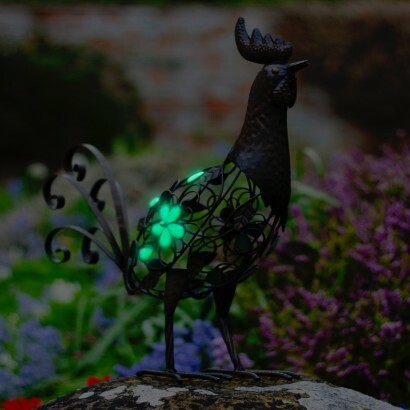 Find out more about how glow in the dark works to get the best from your glow garden cockerel.